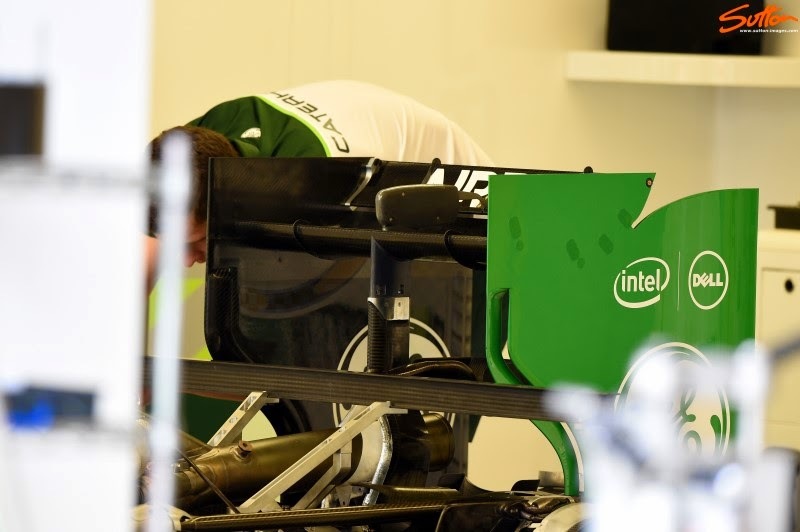 Caterham arrived in Canada with a new set of rear wing endplates, both drivers tested them during the free practice sessions but only Kamui raced them (Ericsson switching back to louvred endplates due to his crash in qualifying). Teams use louvres in the endplates for efficiency with pressure moving from one side of the endplate to the other, which in turn reduces the pressure gradient where the flaps meet with the endplates. This pressure gradient entwines into a vortex (which we often see in the form of vapour trails, in damp conditions). By allowing the pressure to move from one side to the other side of the endplate this vortex is more controlled reducing the drag induced by the flaps. You'll often see the shape, orientation and number of louvres adjusted based on the circuit characteristics and corresponding wing angle of attack. I'd therefore suggest that Caterham were looking to gain more downforce/balance for the low speed corners but sacrifice a percentage of their top speed around the Circuit Gilles Villeneuve, although it must be said that Caterham do run very long leading edge slots when compared with the other teams and so they may have found this offsets some of the louvre loss.